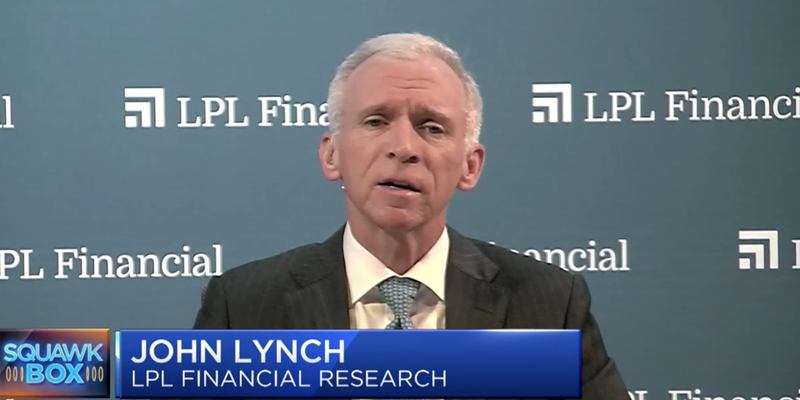 John Lynch, the chief investment officer at $628 billion LPL Financial, says the S&P 500 will rise roughly 10% from current levels by the end of 2019. Lynch thinks bearish views on corporate profit growth are overblown. However, his bull case comes with one key caveat. Now that the dust has settled on the stock market’s late-2018 rough patch, Wall Street is divided on the path ahead. Some experts — like those at Morgan Stanley — are refusing to be fooled by what they see as a mirage of positive catalysts. You have chief US equity strategist Mike Wilson, who has repeatedly warned of a so-called earnings recession. Then there’s Lisa Shalett — the chief investment officer of the firm’s wealth management arm — who says a toxic combination of flagging earnings, a tightening Federal Reserve, and tensions with China will lead the market lower. But that bear camp has some competition. There’s a growing number of analysts that think the market’s recent turbulence allowed it to shake out some weakness. And now that it’s emerged stronger, the argument is that the path has been cleared for a move higher. John Lynch, the chief investment strategist at $628 billion LPL Financial, sits firmly in this group. His 2019 year-end price target of 3,000 for the S&P 500 puts him among the most bullish strategists on Wall Street. And he didn’t just arrive at that number because it’s nice and round. He’s taking the S&P 500’s trailing 12-month earnings multiple of 17.5 times and multiplying it by his 2019 earnings-per-share forecast of $170. That relatively conservative estimate gets him all the way to 2,975, roughly 10% from current levels. At the core of Lynch’s forecast is an underlying bullishness around corporate earnings. And while that may seem obvious, given the historically direct link between profit growth and share appreciation, it’s the reasons why he’s so optimistic around earnings that are so intriguing. A big part of Lynch’s bull thesis revolves around a trade war resolution. In fact, he thinks any sort of concrete progress could be enough to catalyze more stock gains. Allow him to explain in his own words. As an extension of that same logic, if the US fails to make progress on trade, it puts the entire thesis at risk. Going beyond the trade war as a specific catalyst, Lynch argues that fears around an overall profit slowdown are overblown. He notes that consensus earnings forecasts are incorrect by an average margin of 300 basis points, so a flat estimate could very well translate to a 2-3% increase. Lynch himself believes corporate profits can still grow at 6% going forward, which would put them in line with historical averages. Coming on the heels of historically strong earnings growth in 2018, he says this should keep the US economy safe from an imminent meltdown. With all of that established, Lynch isn’t so naive to believe the US market is fully in the clear. He recognizes the unpredictable nature of the current political climate, and the uncertainty it poses. That’s why he’s keeping a close eye on any developments, should he need to quickly alter his stance. „We have to respect fear and be mindful of how it can be overwhelming in the short term,“ Lynch said.